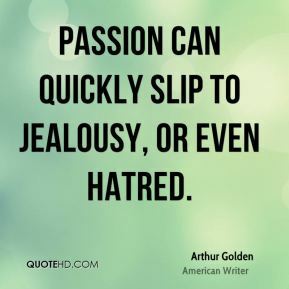 Passion can quickly slip to jealousy, or even hatred. 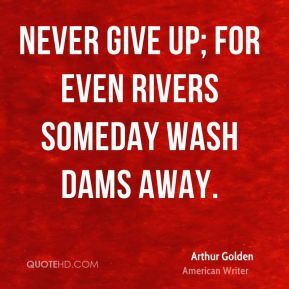 This time all the historical details and things were right. 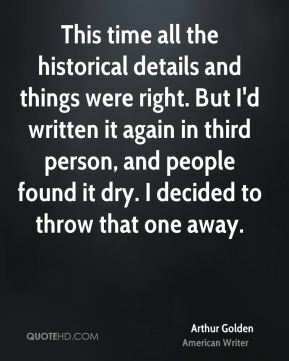 But I'd written it again in third person, and people found it dry. 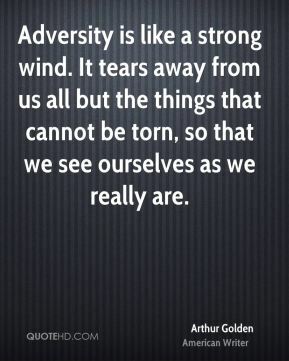 I decided to throw that one away. 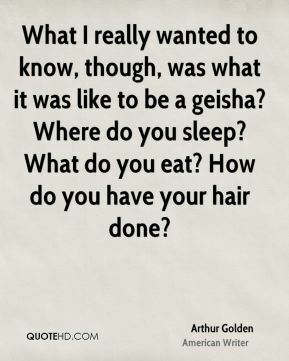 What I really wanted to know, though, was what it was like to be a geisha? 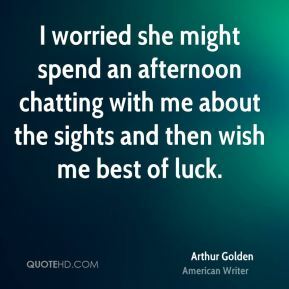 Where do you sleep? What do you eat? 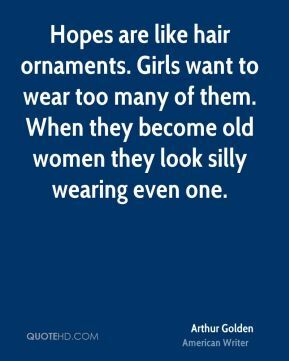 How do you have your hair done? 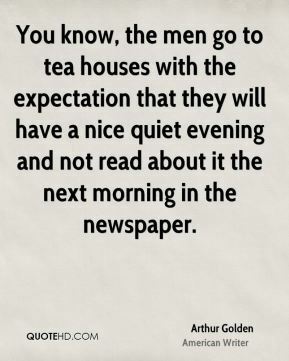 You know, the men go to tea houses with the expectation that they will have a nice quiet evening and not read about it the next morning in the newspaper. 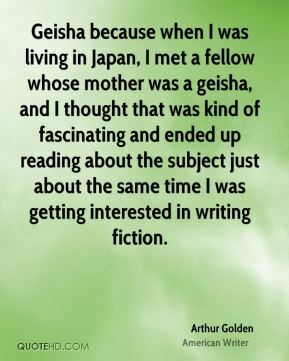 Geisha because when I was living in Japan, I met a fellow whose mother was a geisha, and I thought that was kind of fascinating and ended up reading about the subject just about the same time I was getting interested in writing fiction. 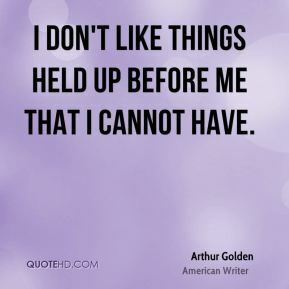 I don't like things held up before me that I cannot have. 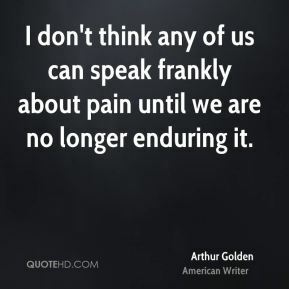 I don't think any of us can speak frankly about pain until we are no longer enduring it. 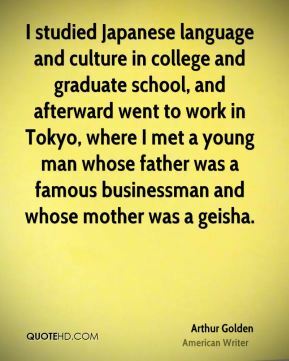 I studied Japanese language and culture in college and graduate school, and afterward went to work in Tokyo, where I met a young man whose father was a famous businessman and whose mother was a geisha. 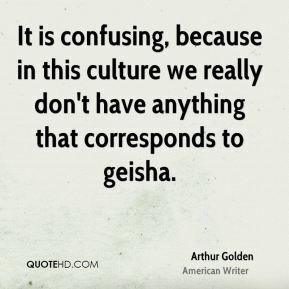 It is confusing, because in this culture we really don't have anything that corresponds to geisha.